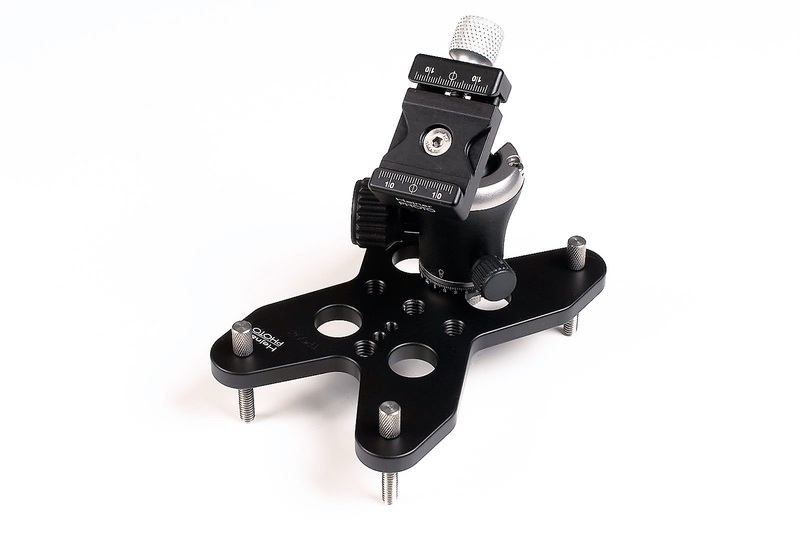 Latest news coming from Hejnar Photo is the announcement of their set of adjustable Stainless Steel Feet for their Updated Table-Pod TP-002 Macro Ball Head Base which we have seen a couple of months ago. A set of four (4) Stainless Steel Feet (henceforward SSF) are an add on option for the owners of the TP002 table pod. The SSF come to replace the standard Rubber Feet if they do not allow enough clearance bellow the pod or individual adjustment is required. Each Foot is actually a 1.5" (3.81 cm) stainless steel screw with 1/4"-20 thread. 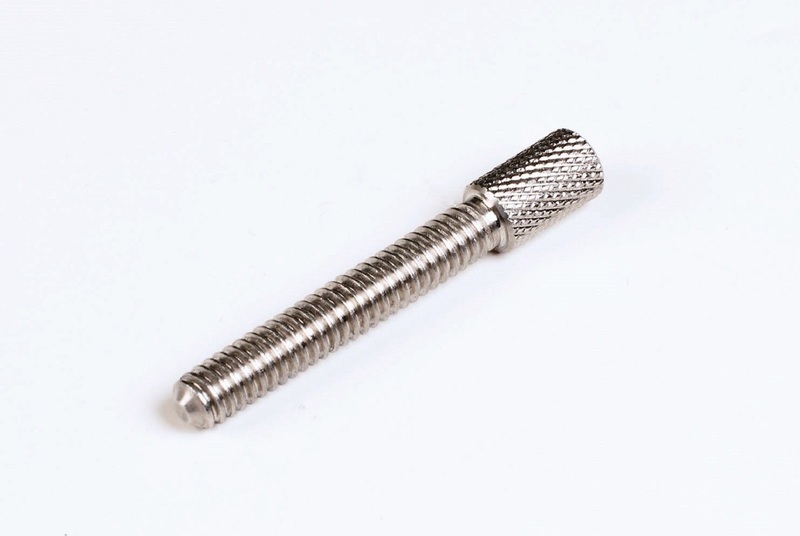 The screw is driven via its Knurled thumb head and ends into a spike. Hejnar Photo SSF for TP002 are 1.5 inch long with 1/4"-20 thread and knurled head. 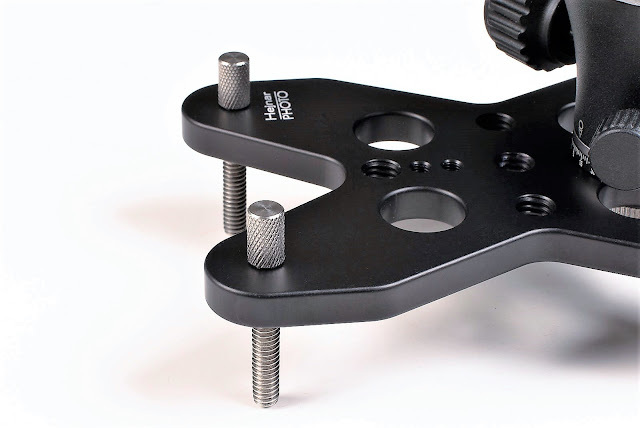 Each screw allows for individual adjustment up to 1.125" (2.85 cm) so in this way the pod can be leveled on rocks and other uneven surfaces while the spiked end can keep it stable on slippery ground. A simple example of the SSF implementation is the TP002GHP-30D-SSF bundle pictured below. This full Table Pod Set features a Ball Head with QR Clamp and includes four SSF spiked feet in addition to the standard rubber feet. The SSF are sold separately for US$ 36.00 as a set of four (4) or bundled with a full featured TP002 Table Pod with Ball Head and Clamp for US$ 180.00. All products are available from the Table Pod section at the Hejnar Photo online Store.